CR Flowers & Balloons specializes in unique decor or your events, whether it be a party, reception, or everyday celebrations. If you wish to decorate for a small party, or an elegant reception, our balloon stylist will listen to your every idea and detail. Our goal is to provide you with professional service, quality products and the very best experience we can. 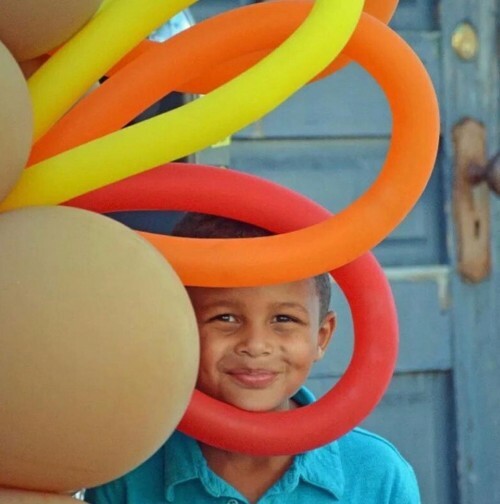 Balloons add fun to every occassion. 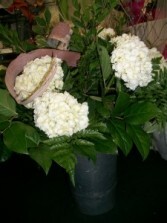 We design one-of-a-kind bouquets, pillars, arches, garlands & centerpieces. We have a social presence on Facebook, Pinterest, and Instagram and can use any of these platforms as inspiration to achieve your vision. We have many resources here at the store to help you with this. We deliver to Bracebridge, Huntsville Gravenhurst and surrounding areas to bring your everyday bouquets or event decor to your doorstep. Let us help you celebrate and have some fun. Cindy @ CR Flowers & Balloons. 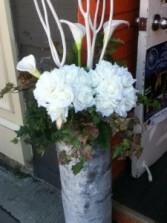 CR Flowers & Gifts has an unique flare for designing your table arrangements. 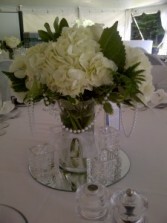 White Hydrangeas and pearls makes a stunning centerpiece. 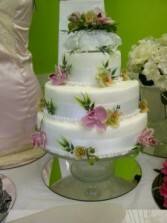 CR Flowers & Gifts can help you design flowers for your wedding cake as well. Co ordinate with the rest of your choices. In Muskoka you can have a sap bucket of flowers. It sure give you the Muskoka feeling. 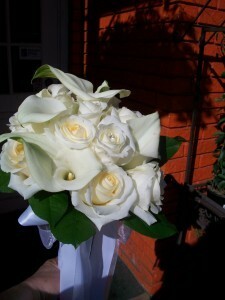 CR Flowers & Gifts also has rentals for you wedding. Whether it is a Muskoka Cottage feel you are looking for, or an elegant night. 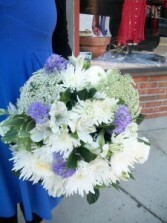 CR Flowers & Gifts can design a custom arrangement for your wedding service. Our white ceramic vase is modern and clean. 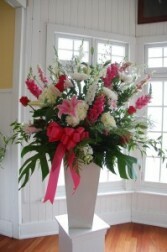 Design your arrangement to compliment your wedding flowers.